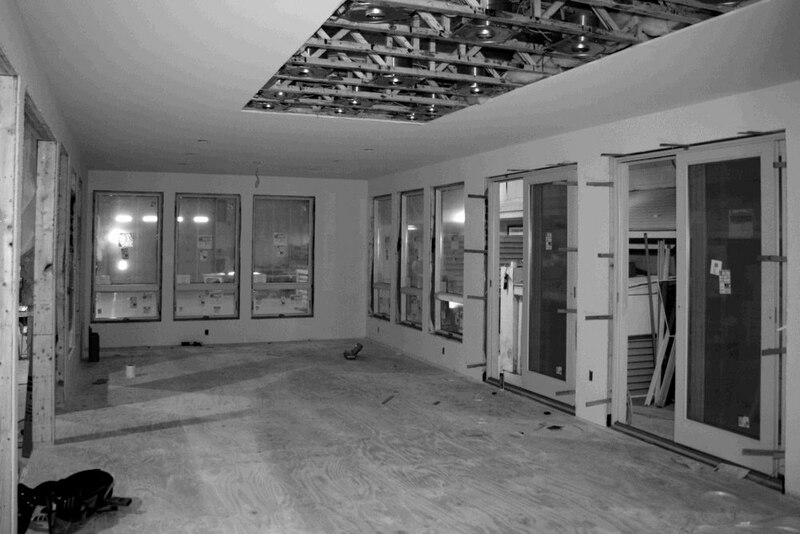 Scranton, PA - Simplex Homes Factory - Kitchen millwork is going in! 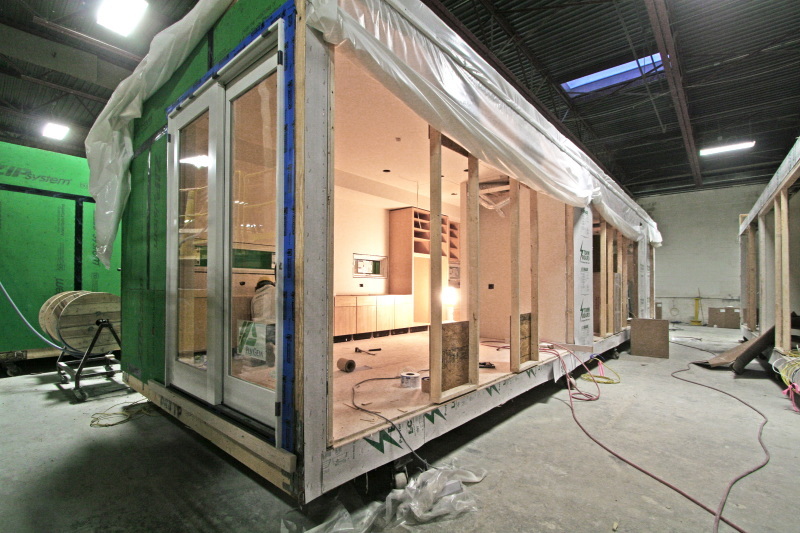 The prefab modules will be off the production line in less than a week. THREE PINES – PREFAB CONSTRUCTION BEGINS! THREE PINES IS ON-LINE! 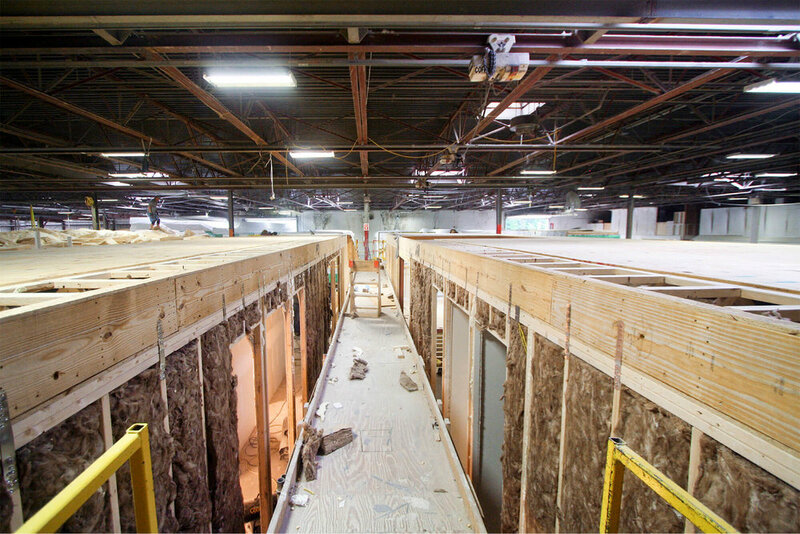 Production has begun on 6 prefab boxes at Simplex's factory in Scranton, PA. Three Pines is a 2,150 sf single-story home in North Beach, Maryland. Stay tuned for photographs from upcoming factory visits! The prefab modules will ship tomorrow from the factory in Scranton, PA to the site on Great Peconic Bay, where the modules will be craned atop an exposed steel frame! SCRANTON, PA - RES4 visits Simplex Homes to check out progress on the North Fork Bay House - a 1,375 sf two-module prefab beach home. RES4 went to check out the Greenbuild House under construction at the factory. Stay tuned for progress photos! 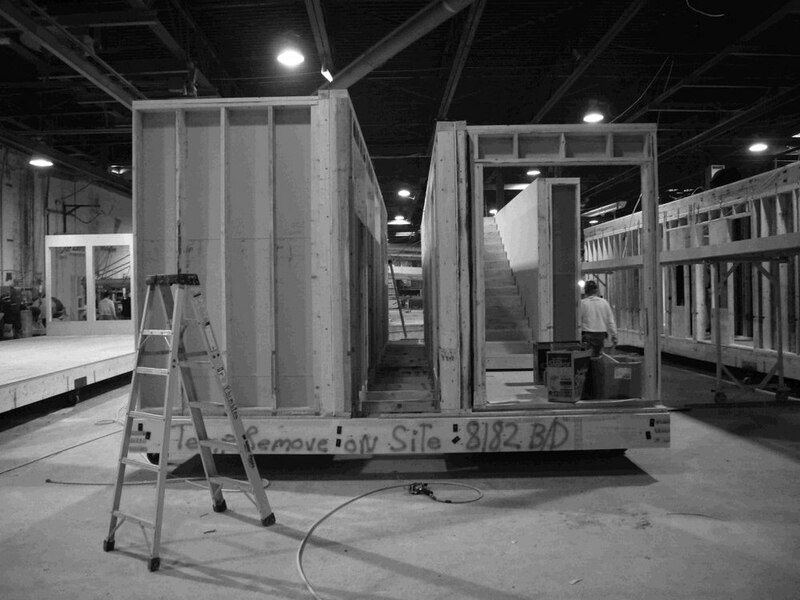 4-box set of the Suburban Villa prefab is happening tomorrow in Bethesda, Maryland. Stay tuned to RES4 Twitter & Facebook for photo updates! This past Monday, the RES4 team paid a visit to Simplex to check out the progress of the latest prefab house...the four house modules plus one for the detached shed are wrapping up factory construction...they will be headed down to Maryland in February! 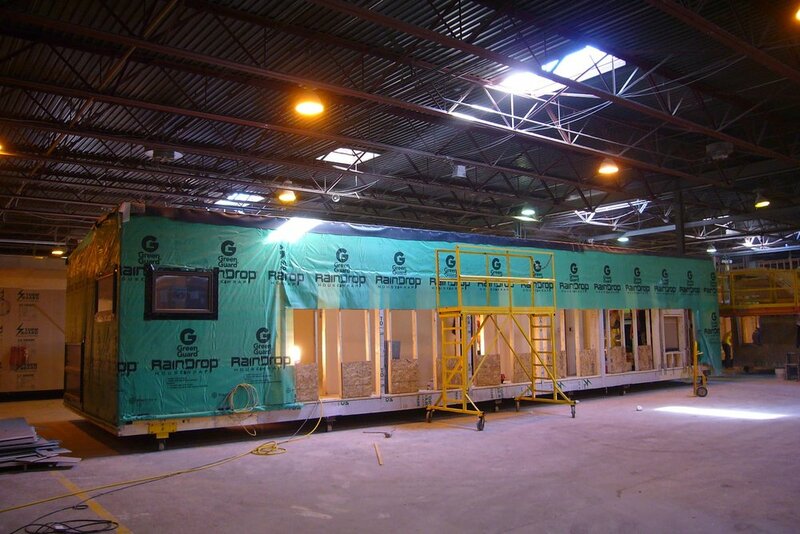 The Connecticut Pool House is underway in the factory! The single box 810 sf house is scheduled to be set in late July. A modern take on the mountain cabin, the house utilizes radiant heat and solar hot water. The Catskills Suburban, located in Palenville, NY, is currently in factory production. The foundation and road work is finishing up this week; the house is expected to be set in the coming month. Stay tuned for updates. The Bronx Box is currently online at the factory in Pennsylvania. This 1,816 sf house will be RES4's first modular house in New York City. The house is expected to be set around the second week of November. Stay tuned for updates. Millwork being assembled before and organized before final placement.